Mighty Mushrooms proprietary and synergistic mushroom complex is formulated using the time-tested tradition of Chinese medicinal mushrooms. 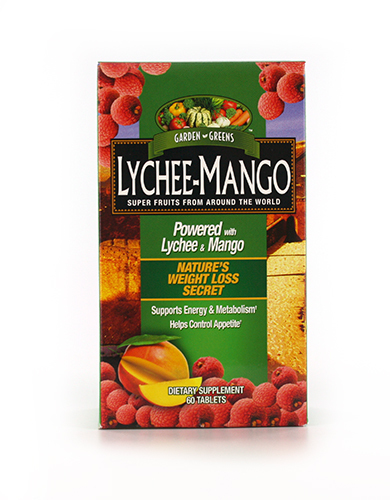 They contain a diverse combination of bio-active compounds such as naturally-occurring enzymes, polyphenols and glycoproteins. 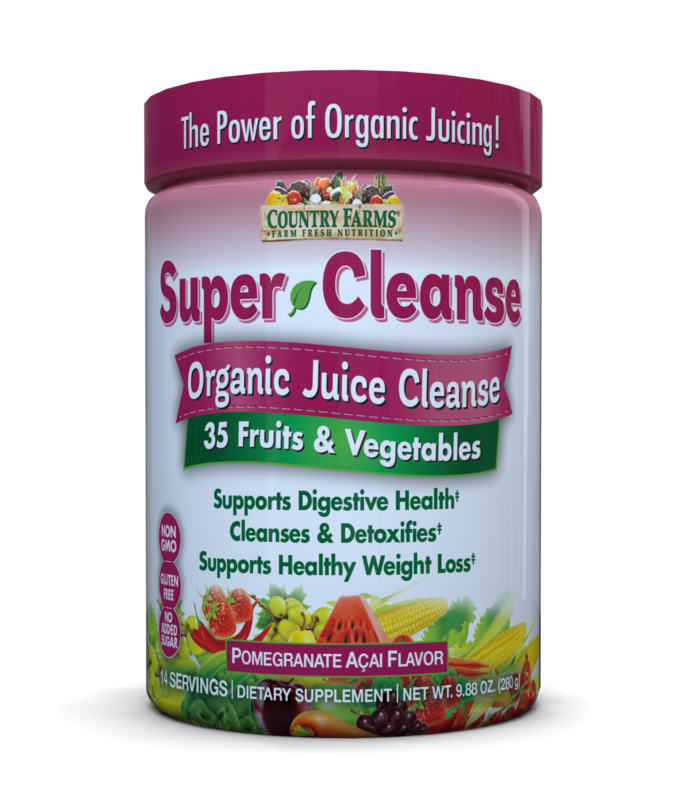 Formulated with 10 types of organic mushrooms, such as reishi, maitake, chaga and shiitake, Mighty Mushrooms provides the highest level of purity and potency. Mushrooms are an anti-inflammatory food, containing high levels of beta-glucan compounds that keep immune cells alert. Mushrooms also contain phytonutrients that help keep cells from sticking to blood vessel walls, which may help to maintain proper blood pressure and heart health. 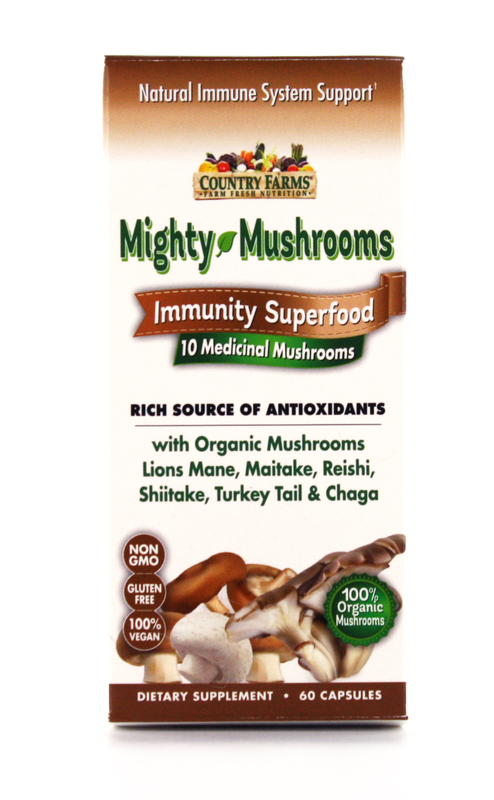 Country Farms Mighty Mushrooms may help to boost the immune system by providing the body with numerous vitamins, minerals and enzymes.